Yasemen Kaner-White is a woman after my own heart; like me, the juice of lemons may as well run through her veins. I put that down to our Turkish Cypriot heritage – no dish is complete without a dash (or seven). 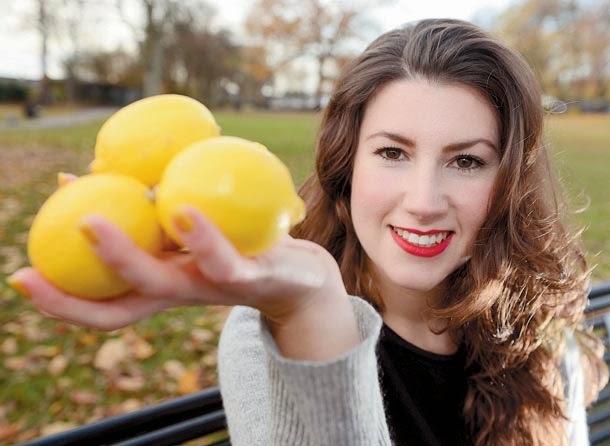 The love of this citrus combined with Yasemen’s international spirit, passion for travel and thirst for knowledge has culminated in her first book – an encyclopaedic go-to reference for anything concerning this humble fruit. Lemon Compendium isn’t just a cookbook with a lemon-focused recipe on almost every other page (and there are a lot of wonderful recipes); it is also a learning tool, a history lesson, a travel brochure, a domestic chores manual, and a beauty guide – not to mention a coffee-table crowd pleaser. Want the translation of a German lemon-devoted poem by Goethe? It’s in here. After some lemon-oriented jokes? Look no further. Didn’t know lemon juice can make your toilet flush better? You do now. A particularly fascinating section is one of the largest: Global Lemony Grub. Here you’ll find a recipe from every corner of the globe that uses lemons; from Anguilla’s grilled lobster with lemon herb butter, to Zambia’s Piri Piri sauce, it’s a wonderful insight into the far-reaching appreciation of the presence of lemon in food. For those in the know, the lemon has a limitless number of guises and uses. If you’re not one of these people, Lemon Compendium will right that wrong. The sheer wealth of research, expertise and time (two years in the making) that Yasemen has so evidently poured into this labour of love is highly commendable and something she is no doubt extremely proud of. 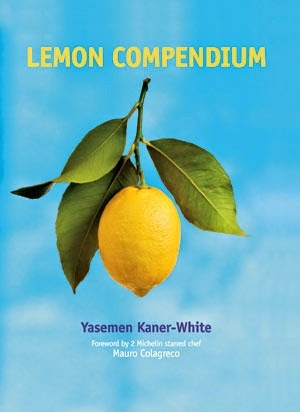 Whether you’re a lemon-lover, cookbook-hoarder, knowledge-seeker, kitchen aficionado, travel enthusiast, gourmand or just a reader of books in general, Lemon Compendium is a unique offering in the world of food literature that anyone could enjoy. The forward by 2-Michelin star chef Mauro Colagreco includes the bold statement, “This is a book every household should own”. I think he might be right.